We love to have the little ones come and jump with us at Altitude! Toddlers (and their parents!) have a blast at Altitude and we're here to make sure they're safe while doing so. During the school year (September - May), we have a special Toddler Time (age 2-6 years) each weekday from 10:00am - 1:00pm. Toddler Time will not be available during school holidays and breaks. Additionally, for all of our jumpers 6 and under, Toddler Time is a discounted rate of $5.95, and parents or guardians can join them for only $2 more**! As Toddler Time is already a discounted rate no coupons can be applied to Toddler Time. 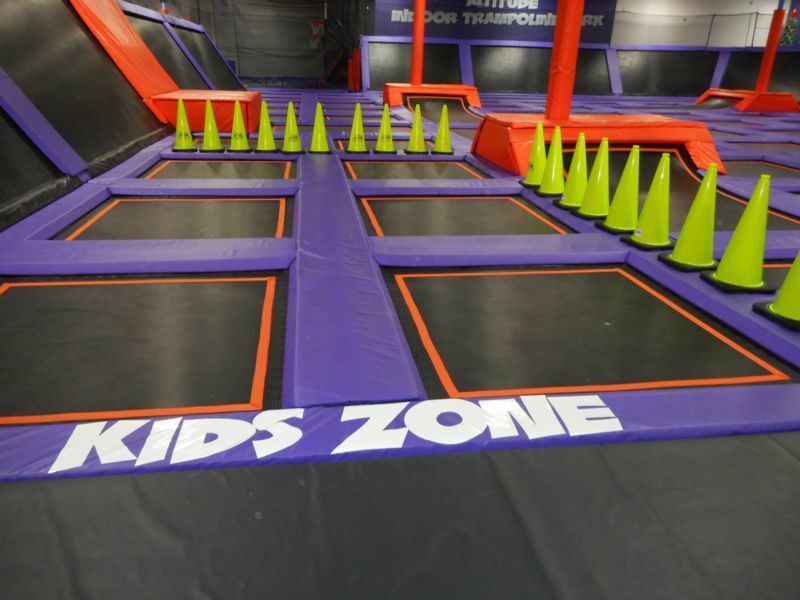 * We are still open to the general public during Toddler Time but make every effort to protect our toddlers by keeping older jumpers out of their area. ** For the safety of our younger jumpers, Toddler Time is not available on weekends, school vacations, or holidays.